WOULD YOU LIKE A MORE APPEALING & EYE-CATCHING SOFTCOVER BOOK? You will love our custom books printed on 100# premium gloss or matte text (Self-Cover) stocks with vibrant color printing delivered to your doorstep in 9 to 15 days from proof approval. Add 80# gloss or matte cover paper (Plus Cover), which can be UV coated to give your booklet that luxurious high gloss finish. NEED HELP DECIDING ON HOW TO BIND YOUR PRINTING PROJECT? THIS PAGE WILL EXPLAIN THE DIFFERENT BINDERY OPTIONS FOR PERFECT BINDING, SADDLE STITCH, SPIRAL AND WIRE-O BOUND BOOKS. SHORT RUN, SMALL AND BULK CUSTOM BOOKS BINDING AND PRINTING ARE ALSO AVAILABLE. Perfect binding is like the book binding you see on phone books and paperback books. Printed sheets are gathered into a book, one on top of the other and the edges are ground off and the book is glued into a wrap around cover and then trimmed to size. This type of perfect bind creates a square spine. They provide an attractive looking durable book. They do not lay flat or 180° flat. Perfect bound book printing is great for directories, magazines, manuals, year books or any type of books that has many pages. The minimum number 40 pages to 2” thick maximum. They may cost a little more than our popular saddle stitched option. Saddle stitch binding is the most popular, inexpensive and simple to make yet professional form of binding, which allows us to save you money. Page counts from 4 to 56 pages. They can lay flat and stay open when you are flipping through the pages, which makes it easier to read. Saddle-stitching is like the catalogs and magazines you get in the mail. It is two staples nested in the spine of the folded piece, securing the sheets together. It can go along the left edge or on top depending on how the project is planned out. Saddle stitching is great for booklets, calendars, photo-books and programs. Spiral Binding books are like journals, notebooks or cook books that will lay flat or wrap back around themselves. Spiral bound printing is a coil of a plastic continuous loop passing through a row of punched holes at the edge of the printed piece in a spiral. The binding can be on the left or top of the project depending on how the project is designed. Spiral bound coils are available in different colors and sizes. You cannot print on the spine or add or remove pages. Spiral bound book printing is great for manuals, directories, annual reports, calendars and many other types of products. Spiral binding can be up to 2 ¾“ thick. They may cost a little more. Wire-O binding is similar to Spiral binding. 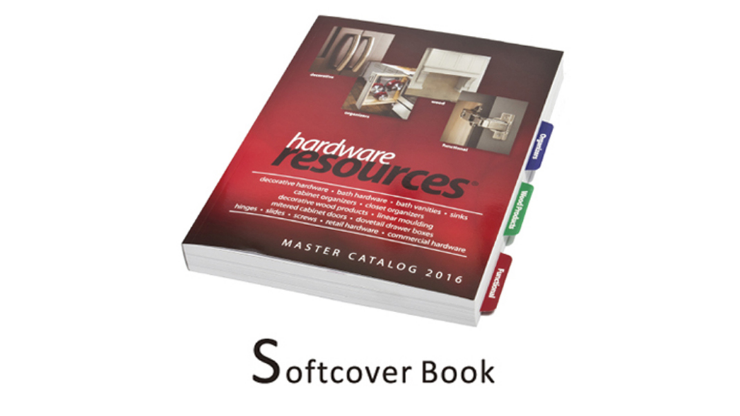 Wire-O binding is great for Calendars, Directories, Annual Reports, and many other types of products. They will lay flat or wrap back around themselves. It is a metal coil that passes through a row of punched holes at the edge of the printed piece. The binding can be on the left or top of the project depending on how the project is designed. Wire-o bound books are a series of parallel wire loops attached along a wire. Wire-o binding can be 1 ¼“ thick. They may cost a little more. Three-Hole Drilled or 3 Ring Binders are like the binders we used in school. The vinyl covers can be silk screened or paper inserts can be printed and then inserted behind the clear covering of some ring-binders. The pages are high quality digitally printed color copies, collated in order and 3 hole punched and put into the binder. 3 - hole drilling is when 3 holes are bored into the printed piece allowing for it to be placed in a binder. 3 - hole drilling is great for Guides, Annual Reports, Menus and many other types of products that you intend to store in a 3 ring binder. Stapled Books are stapled in the upper left hand corner binding all of the collated sheets together. The stapled bindery option is when several sheets are stapled at the top left corner. This type of bindery is great for all kinds of multi-page projects, Newsletters, Digital Copies and many more types of products.